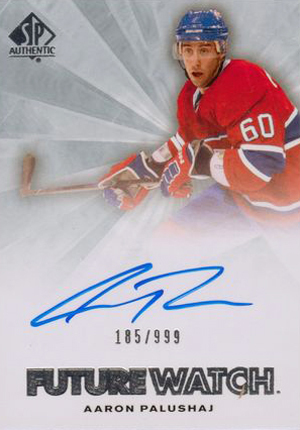 Upper Deck has spent years, decades even, developing compelling rookie programs for hockey card collectors. 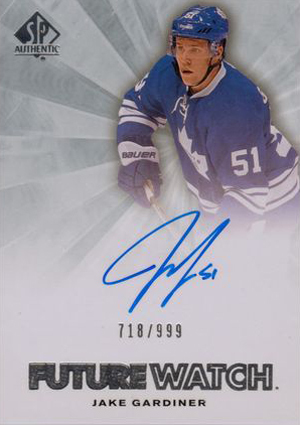 The flagship Young Guns have the most universal appeal, thanks in large part to being readily available and widely collected. 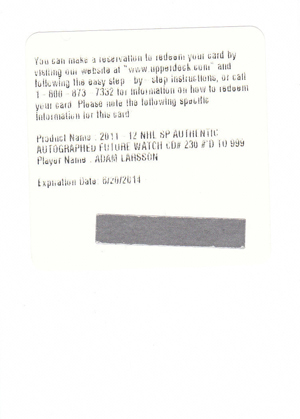 The company's SP Authentic Future Watch rookies take it up, often adding signatures to the mix. 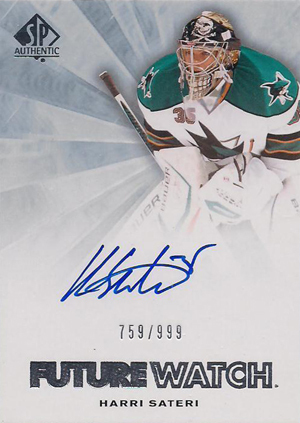 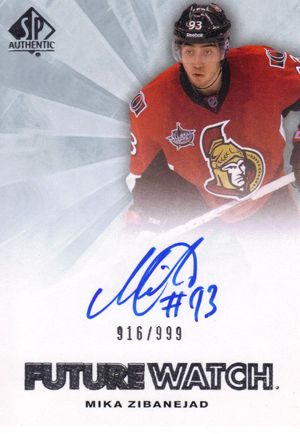 The 2011-12 SP Authentic Hockey Future Watch Autographs checklist is massive and has all the key first-year stars. 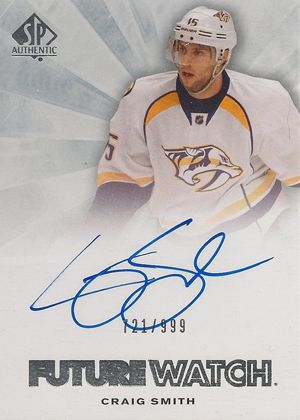 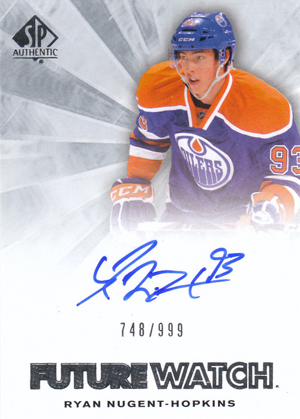 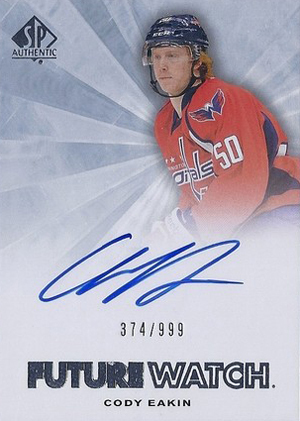 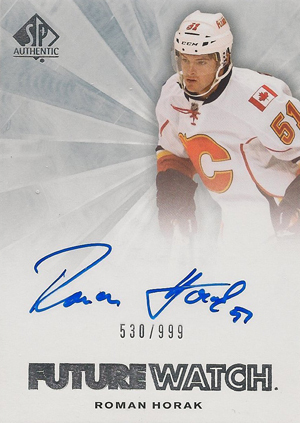 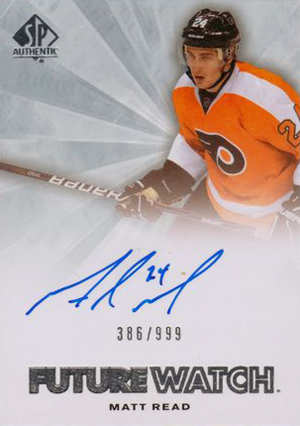 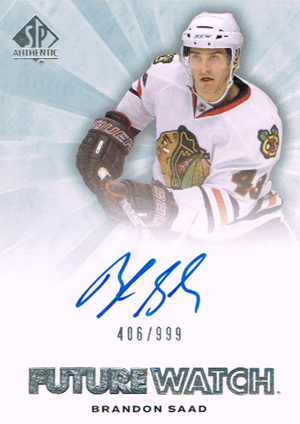 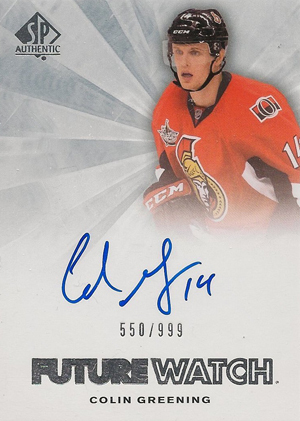 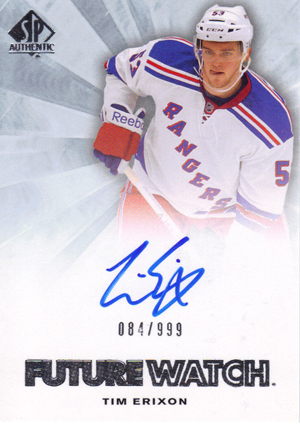 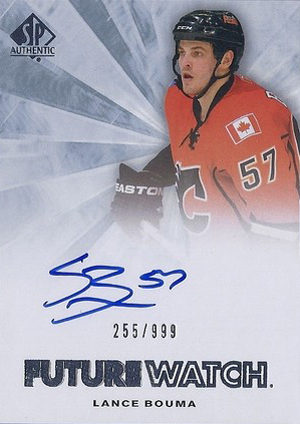 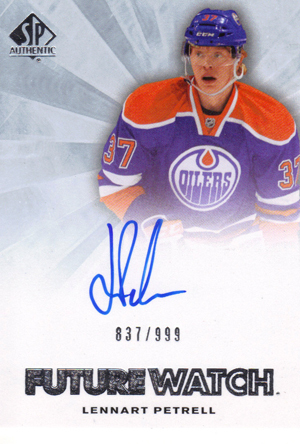 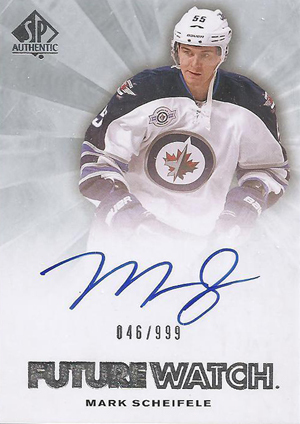 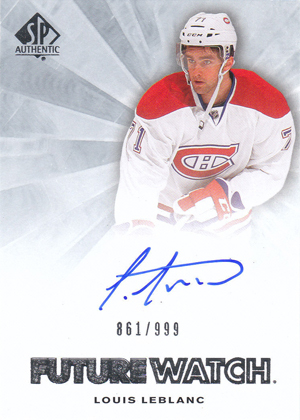 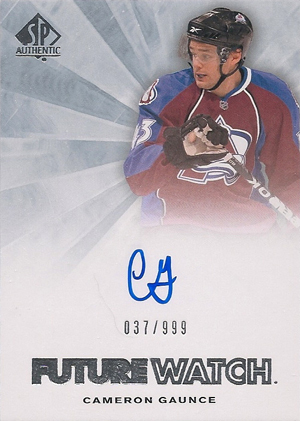 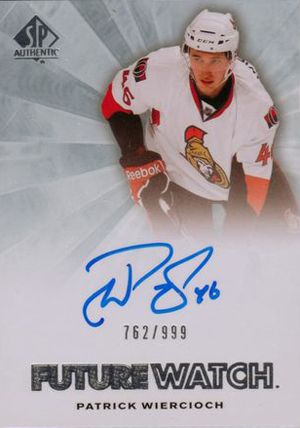 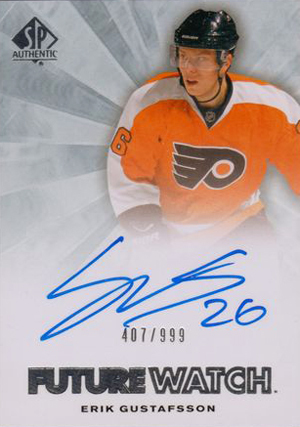 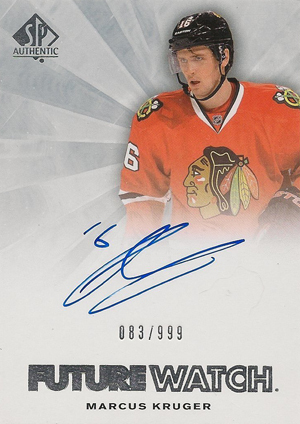 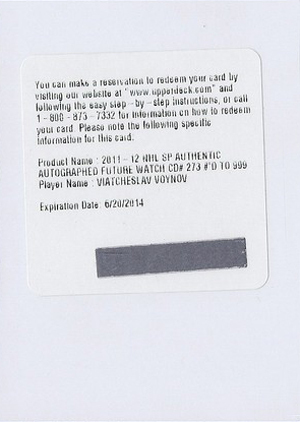 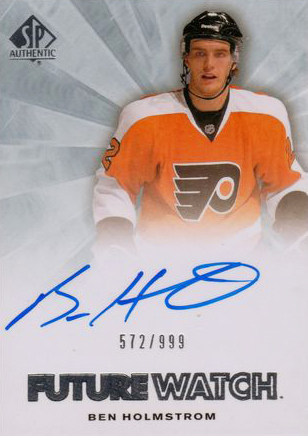 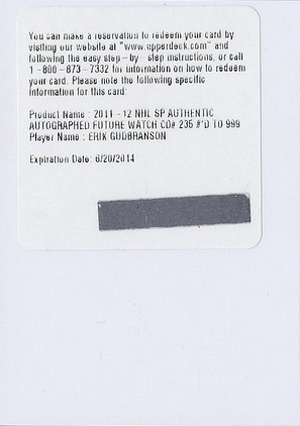 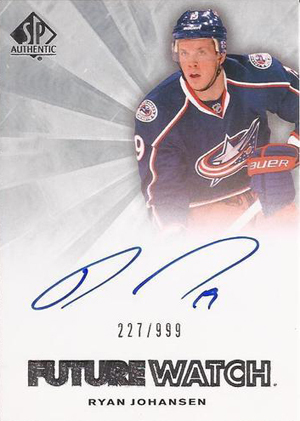 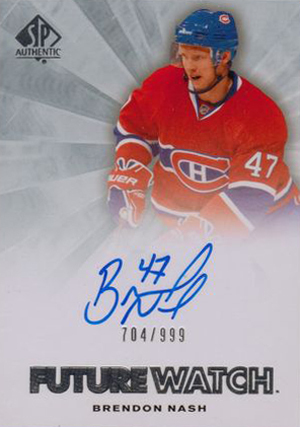 Book-ending the set, there are 60 Future Watch Autographs in 2011-12 SP Authentic Hockey. 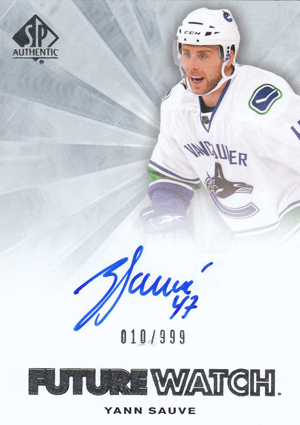 All are numbered to 999 and have on-card signatures. 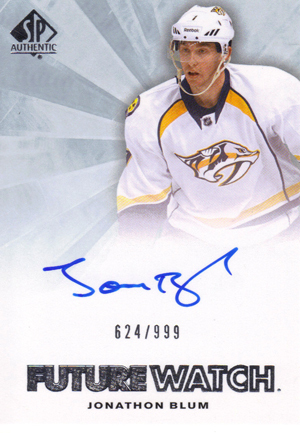 The top of the cards superimpose a player shot onto a background that has a grey starburst design. 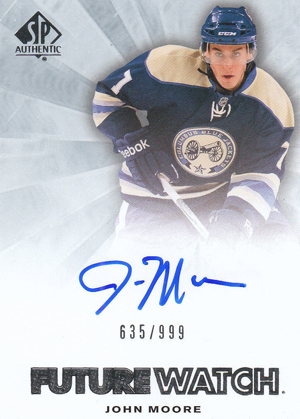 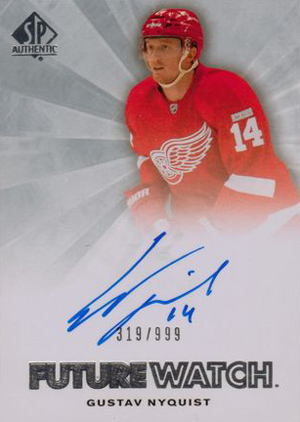 The bottom of the cards have lots of white space, providing plenty of room for even the most wild signatures. 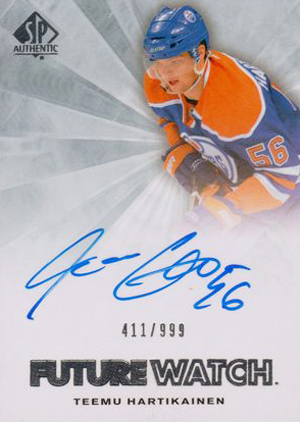 In today's hobby that'd filled with lots of super premium rookie cards, the 2011-12 SP Authentic Hockey Future Watch Autographs find some nice middle ground. 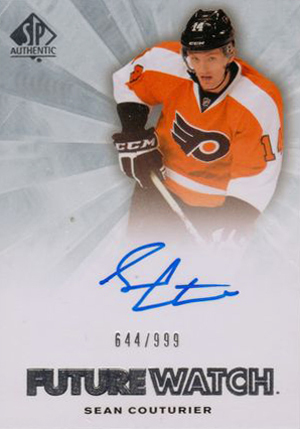 All are plentiful enough that they're attainable. 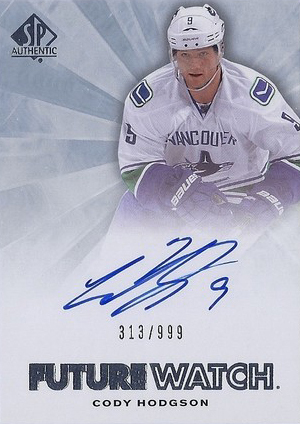 And while they can be costly, prices are both stable and reasonable. 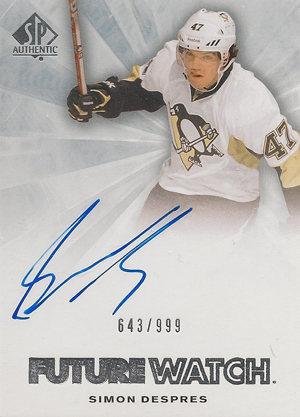 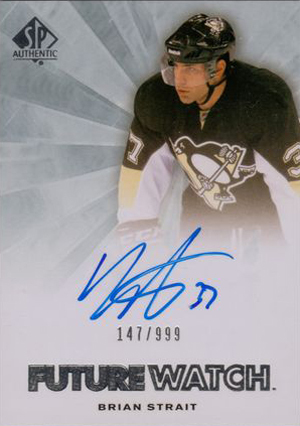 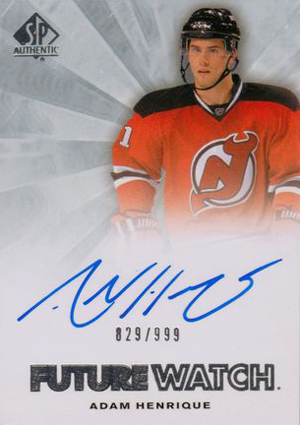 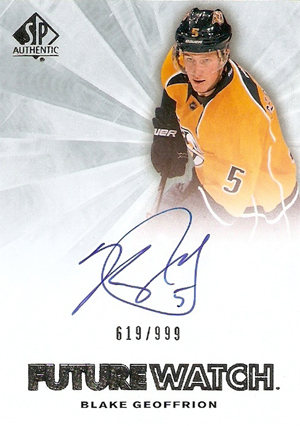 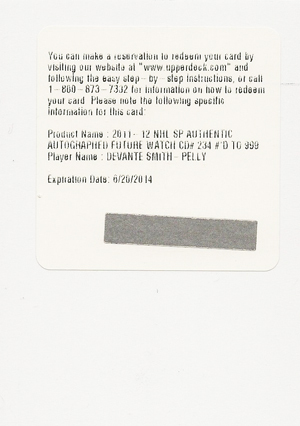 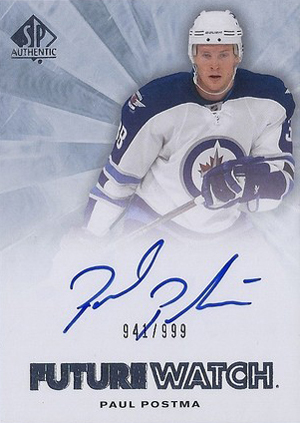 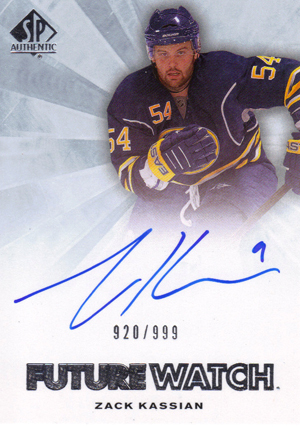 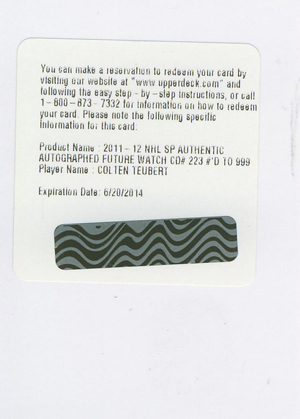 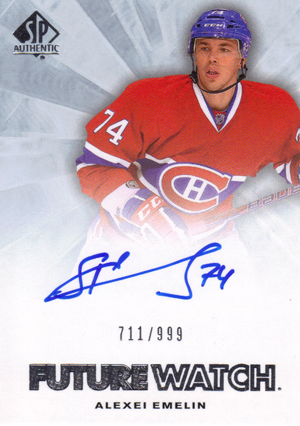 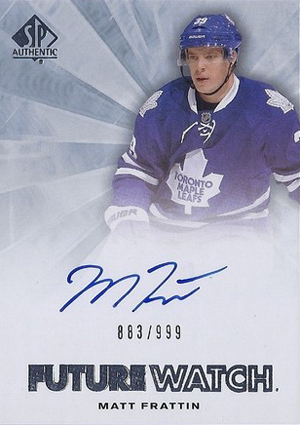 Below is a complete checklist of the 2011-12 SP Authentic Hockey Future Watch Autographs. 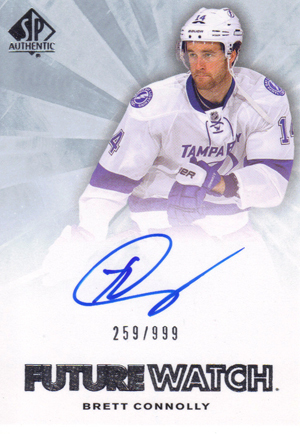 Following that is a gallery of all 60 cards. 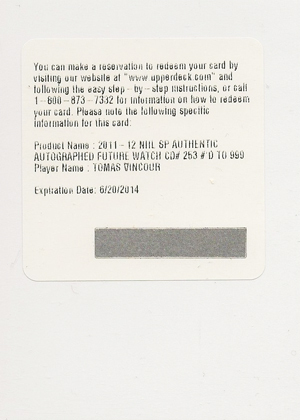 Click on the player names to shop for single cards on eBay. 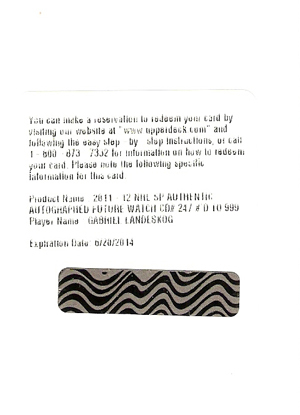 The following cards were inserted as redemption cards. 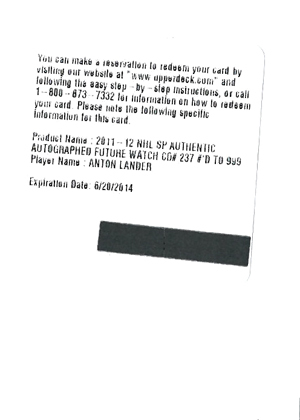 Redemptions expire June 20, 2014.